Constitution of India - Article 226 and 227 - A dispute inter se private parties of the nature could not be allowed to be raised in the writ petition for seeking issuance of mandamus against the State and its authorities in relation to the properties in question. No writ petition can be entertained for issuance of any writ against any private individual in respect of any private property dispute. The remedy in such case lies in civil Courts. The questions such as, who is the owner of the land in question, whether the land in question was let out and, if so, when, why and for what purpose, who had the right to let out the said land, what was the arrangements, if any, made in the memorandum of settlement in relation to the land in question inter se members of the family, whether it was breached or not and, if so, by whom, what activities are being carried on the said land and, if so, by whom, whether such activities are legal or illegal etc. are not the questions which can be raised by any private individual against other private individual in the writ petition under Article 226 of the Constitution. The parties, therefore, will be at liberty to take recourse to all judicial remedies, as may be available to them in law, for adjudication of their respective grievances in appropriate judicial forum against each other. Similarly, it is for the State authorities to see as to whether any person(s) has/have contravened or/and is/are contravening any provision(s) of any Act or Rules or Regulations or Statutory Schemes in any manner while using the properties and, if so, what action is called for qua such persons and against the activities carried on by such person(s) in law. 1. 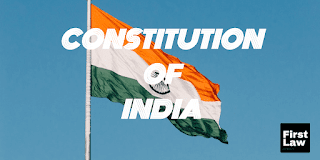 These appeals are directed against the final judgment and order dated 04.03.2008 passed bythe High Court of Judicature at Madras in Writ Appeal No.1499 of 2005 and Writ Petition No.5718 of 2005 whereby the Division Bench of the High Court dismissed the writ appeal and the writ petition filed by the appellant herein. 2. In order to appreciate the controversy involved in these appeals, it is necessary to set out few relevant facts hereinbelow. 3. The appellant herein is the appellant in Writ Appeal No.1499 of 2005 and writ petitioner in W.P. No. 5718 of 2005 whereas respondent Nos. 1 to 6 herein are the respondents of the said writ appeal and the writ petition out of which these appeals arise. 4. In the aforesaid writ petition, the Single Judge passed an interim order dated 07.03.2005. The appellant herein (writ petitioner) felt aggrieved by the said interim order and filed intra court appeal before the Division Bench. 5. The Division Bench, with the consent of the parties, decided the main writ petition itself on merits and finding no merit therein dismissed the writ petition filed by the appellant herein by the impugned order, which has given rise to filing of these appeals by way of special leave by the writ petitioner in this Court. 6. On perusal of the list of dates, special leave petitions, writ petition, its counter, the documents enclosed in the appeal and lastly, the findings of the Division Bench in the impugned order, it is clear that the dispute, which was subject matter of the writ petition and which is now carried in these appeals at the instance of the writ petitioner (appellant herein), is essentially between the members of one family whose ancestor was Late S. Narayanapillai. He died leaving behind six sons. Late S. Narayanapillai owned several propertieswhich, on his death, were inherited by his legal representatives. 7. The disputes arose between the members of the family of Late S. Narayanapillai on his death. In order to resolve the disputes, the members of the family, therefore, executed one memorandum of understanding on 24.09.1998 in relation to their family properties. Unfortunately, the disputes did not come to an end and, on the other hand, persisted amongst them, which led to filing of the cases in the Company Law Board by some members against the other and also the writ petition in question by the appellant herein. 8. The dispute, which is subject matter of the writ petition out of which these appeals arise, centers around to the land which is situated in a scheme known as "Ashok Nagar Scheme" in Chennai. The dispute is between the appellant, who is one of the members of the family and respondentNo. 2, which is a Private Limited Company formed by another member of the family. 9. One of the grievances of the appellant against respondent No. 2 in the writ petition is that respondent no 2 is running a petrol pump on a portion of the land in question and has also let out its part to respondent No. 3 who, in turn, is using the same as marriage hall for public under the name "Udayam Kalyana Mandapam". This act of respondent No. 2 is being objected to by the appellant amongst them. 10. It is with these background facts and the grievance, which is elaborated, the appellant filed a writ petition and sought therein a relief for issuance of a writ of mandamus against the State authorities namely, Tamil Nadu Housing Board (R1), Chennai City Municipal Corporation (R4) and Chennai Metropolitan Development Authority (R5) directing them jointly and severally to take appropriate actionin law against Respondent Nos. 2 and 3 and restrain them from continuing with their activities on the land. According to the appellant, the activities undertaken by respondent No. 3 on the land in question are illegal, hazardous and against the public safety inasmuch as they are being carried in violation of several provisions of the laws in force. 12. The question, which arises for consideration in these appeals, is whether the Division Bench was justified in dismissing the appellant's writ petition on the aforementioned reasoning. 13. We heard the learned counsel for the parties and perused the record of the case. Having heard the learned counsel, we are inclined to agree with the reasoning and the conclusion arrived at by the Division Bench in the impugned order. 14. In our considered opinion also, the writ petition filed by the appellant was wholly misconceived and deserved dismissal at the threshold. 15. As rightly observed by the Division Bench, the dispute sought to be raised by the appellant in his writ petition was essentially a private property dispute between the members of one family of which the appellant and respondent No. 2 are the members. 16. By indirect means such as the one resorted to by the writ petitioner (appellant herein) by filing the writ petition, a dispute inter se private parties of the nature mentioned above could not be allowed to be raised in the writ petition under Article 226/227 of the Constitution for seeking issuance of mandamus against the State and its authorities in relation to the properties in question. 17. It is not in dispute that the appellant did not file the writ petition in his capacity as publicspirited person, i.e., Public Interest Litigation (PIL). It was, on the other hand, a writ petition was filed by the appellant essentially to settle his personalproperty rights disputes qua respondent Nos. 2 and 3. It is a settled law that no writ petition can be entertained for issuance of any writ against any private individual in respect of any private property dispute. The remedy in such case lies in civil Courts. 18. In other words, it is a settled law that the questions such as, who is the owner of the land in question, the appellant or respondent No. 2 or any other member of their family, whether the land in question was let out by respondent No. 2 to respondent No. 3 and, if so, when, why and for what purpose, who had the right to let out the said land (appellant or respondent No. 2 or any other member of the family), what was the arrangements, if any, made in the memorandum of settlement in relation to the land in question inter se members of the family, whether it was breached or not and, if so, by whom, what activities are being carried onthe said land and, if so, by whom, whether such activities are legal or illegal etc. are not the questions which can be raised by any private individual against other private individual in the writ petition under Article 226 of the Constitution. 19. Even if the writ petitioner did not raise pointedly these questions for claiming reliefs in the writ petition yet, in our view, such questions have a material bearing while considering the grant of reliefs claimed by the writ petitioner in the writ petition. 20. It is not in dispute that some proceedings are pending before the Company Law Board between the parties in relation to their private property disputes. If that be so, the parties to such proceedings have to prosecute the proceedings before CLB in accordance with law for obtaining appropriate reliefs. 21. Before parting, we consider it apposite to mention that we have not expressed any opinion on the merits of the case. Rather, it is not possible to express any opinion for want of jurisdiction. The parties, therefore, will be at liberty to take recourse to all judicial remedies, as may be available to them in law, for adjudication of their respective grievances in appropriate judicial forum against each other. 22. Similarly, it is for the State authorities to see as to whether any person(s) has/have contravened or/and is/are contravening any provision(s) of any Act or Rules or Regulations or Statutory Schemes in any manner while using the properties and, if so, what action is called for qua such persons and against the activities carried on by such person(s) in law. We, however, express no opinion on any of these issues and leave it for the State authorities toact against any such person(s) in accordance with law. 23. We also make it clear that all such disputes between the parties concerned on its merits will be decided strictly in accordance with law by the Court/Tribunal/Authority, as the case may be, uninfluenced by any observation made by the High Court in the impugned order and by this Court in this order. 24. In the light of the foregoing discussion and with the aforementioned observations and the liberty, we find no merit in these appeals. The appeals thus fail and are hereby dismissed. Interim order, if any, passed stands vacated. These appeals are filed by respondent No.2 in the writ petition and the writ appeal against the final judgment and order dated 04.03.2008 passedby the High Court of Judicature at Madras in W.A. No.1499 of 2005 and W.P. No.5718 of 2005. In view of the order passed above in CA Nos.73907391 of 2009, these appeals are also dismissed.